Wired for crossover applications. 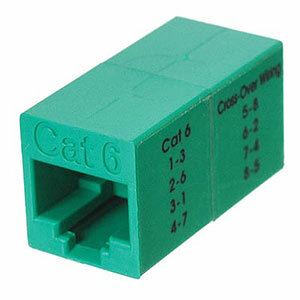 Make a CAT6 Ethernet crossover connection out of standard CAT6 patch cables with this simple adapter. Reliably network 2 computers without the need of a router or special crossover cable.